Lilly kicks back with some girlfriends. Lilly seems to make friends pretty easily. 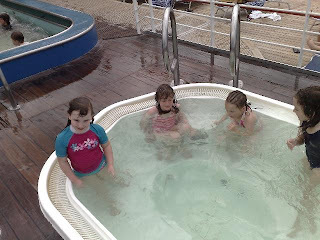 She's having fun here in the spa with some new friends.